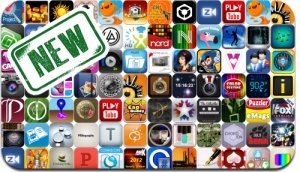 iOSnoops is constantly on the lookout for new apps, and here are 80 iPhone, iPad and iPod touch apps recently released. This new apps alert includes Mini Soccer Star, Texas Poker, 101-in-1 Games, The Lord of the Roads, Fruit Pop, King’s Bounty: Legions, CapBuddy, The Whistler, Nova Iceland, Voice Changer, and many others. Veeva Me – meet, match, date. Fort Wayne’s Rock Station: 98.9 The Bear!